The Ginkgo Tree is known in Japan as a the symbol of endurance and vitality. In China, it is known as the symbol of hope and peace. 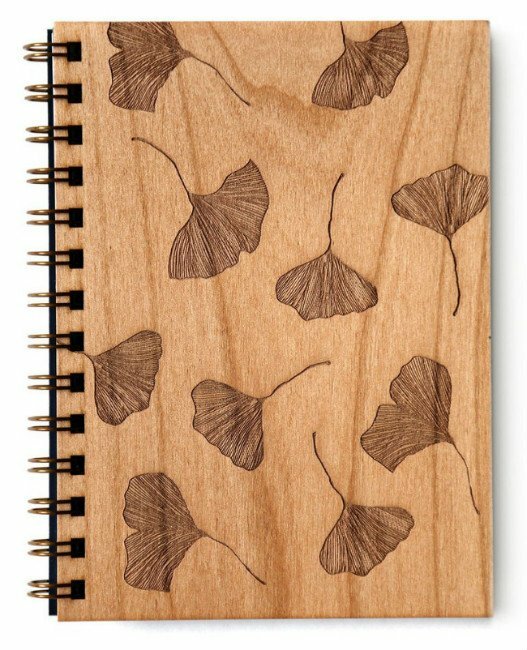 This journal adorned with gingko leaves is the perfect journal to keep your dreams flowing from your mind to the page in a long lasting, hopeful direction. We use a laser cutter to engrave our designs into each and every cover of our journals, taking great care to source the wood locally and ensure it’s certified sustainable. We then hand bind each journal to make sure they are ready for all your brilliant ideas. Our journals are made to last and are perfect for gifting — they’re also the perfect indulgence to keep for yourself!